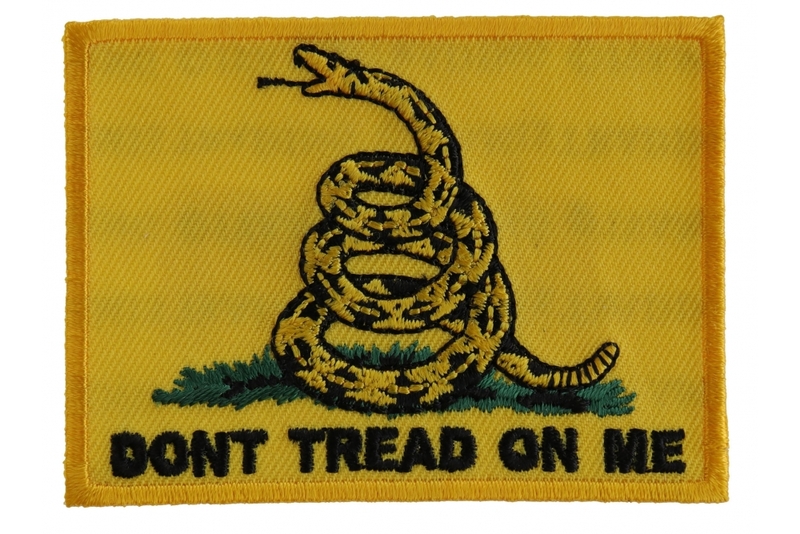 Gadsden Flag Patch. Don't Tread on Me. 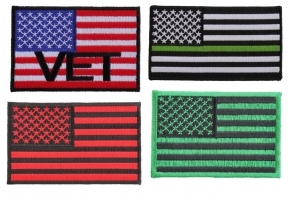 Embroidered with Iron on Backing for Easy Application Measuring Size: 3x2 inch. 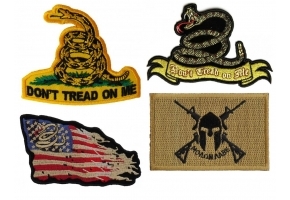 The Gadsden flag was at one time the motto flag of the US Marines. Nowadays it represents the Tea Party people who are sick of Washington failing and making the People their personal slaves. According to Wikipedia, the Gadsden flag was designed and named after Christopher Gadsden who was an American general and statesman. 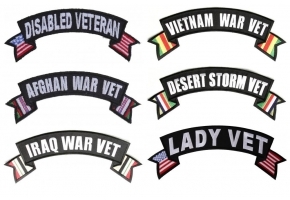 The US Marine Corps started using them as their early motto flag. It depicts a coiled rattle snake with the message don't tread on me. 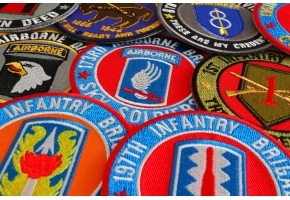 The flag is over a yellow background. If you like to read more about the Gadsden flag read it on Wikipedia here. 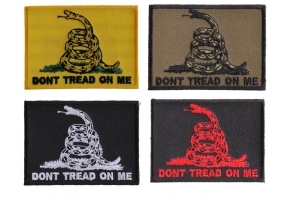 The standard rectangular Gadsden flag measures 3x2 inches. 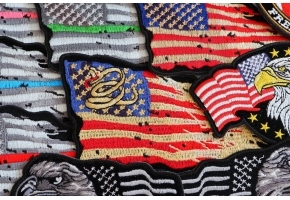 Having your pocket stitched with embroidery of Gadsden Flag Don’t Tread on Me Patch is making a lot of noise in the market these days because of the colour of the thread and also the looks which it gives when it is used on denim jeans, vest or jackets. 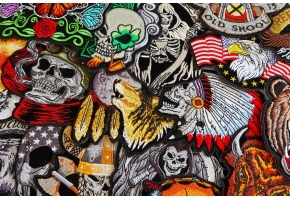 This embroidery looks brilliant when stitched on the hind pockets of your jeans and don’t be surprised if the whole world is looking at you in surprise when you walk with these pants on. Experimenting embroidery with funny words on them can be quite an appealing thing because of the way it is made.